Philips unveiled a new scanner that produces 3-D images of the body with high-resolution details like no other machine in the market. 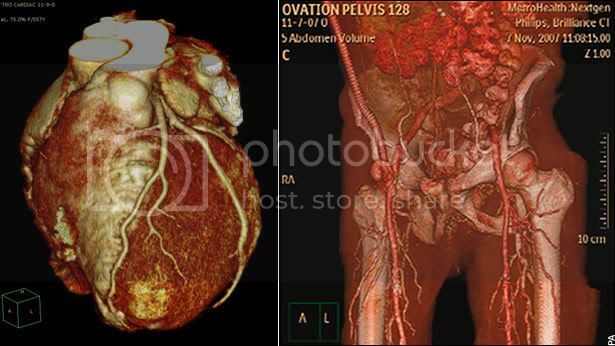 The Brilliance CT machine can capture the body’s skeletons, organs and blood vessels with great depth and detail. Human organs, bones and blood vessels in living patients are unveiled with in great detail using a new type of X-ray Scanner. The Brilliance Computerized Tomography (CT) machine provides three dimensional images of the inner parts of the body. The images shown here come from this Brilliance CT scanning machine. One can see the entire organs in incredible detail, the skeletons look very real and alive. The images can also be rotated and viewed in three dimensions. 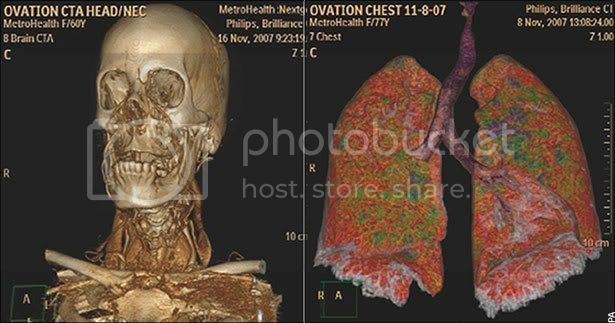 The scanner made by Philips takes about 256 X-ray pictures or slices through the part of the body being scanned then combines them to form a final image. Compared to the conventional X-ray machine, the radiation dose to patients is reduced by 80 per cent. This machine was launched at the annual meeting of the Radiological Society of North America in Chicago. Steve Rusckowski, the chief executive of Philips Medical Systems, told the Daily Mail they want to help the radiologists so they can focus more closely on patients. He said: This scanner allows radiologists to produce high-quality images and is also designed to reduce patients' exposure to X-rays. It is so powerful it can capture an image of the entire heart in just two beats." The machine costs $2 million and one of these scanners is available at the Metro Health Medical center in Cleveland, Ohio. The machine will be very useful in identifying major diseases and monitoring how diseases respond to treatment. Instead of physically operating on a patient to find the cause of an illness, or rather than exposing a patient to more radiation, the scanning will provide more information quickly and with less exposure.